Chocolate truffle making party with The Bom! 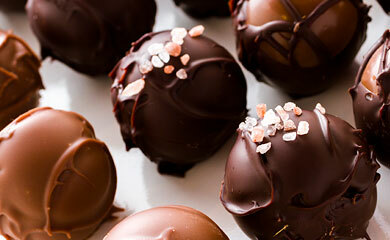 Learn our ‘no bake, ‘no cook’ method to make some of our yummy Adult Truffles, made with love & alcohol. You’ll need just 1/4 cup of alcohol to add to your truffles for flavor, which you may purchase as you cozy up to the bar. We’ll bring all of the dry ingredients, tools and equipment that you need. You’ll go home with 20 yummy chocolate truffles of your own creation!